I was looking for an image on Flickr today and stumbled upon a few photos from a conference on Comics Philosophy and Practice that might be of interest to you. 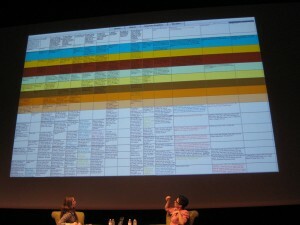 These two spreadsheets are not from Fun Home but its sequel, Are You My Mother? (And here’s a more close-up shot of the latter.) That’s Bechdel on the right, discussing the spreadsheets–she seems to be outlining the process by which she went about organizing the narrative threads into the book. 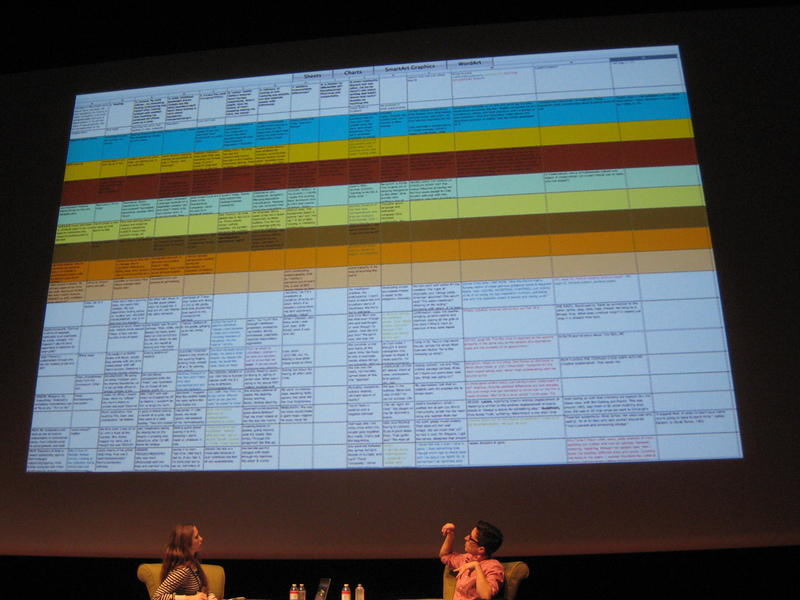 I don’t know if she used a similar spreadsheet for Fun Home too, but it’s safe to say based on the book itself and these images, that Bechdel very carefully structures and organizes the narrative and thematic elements of her books. 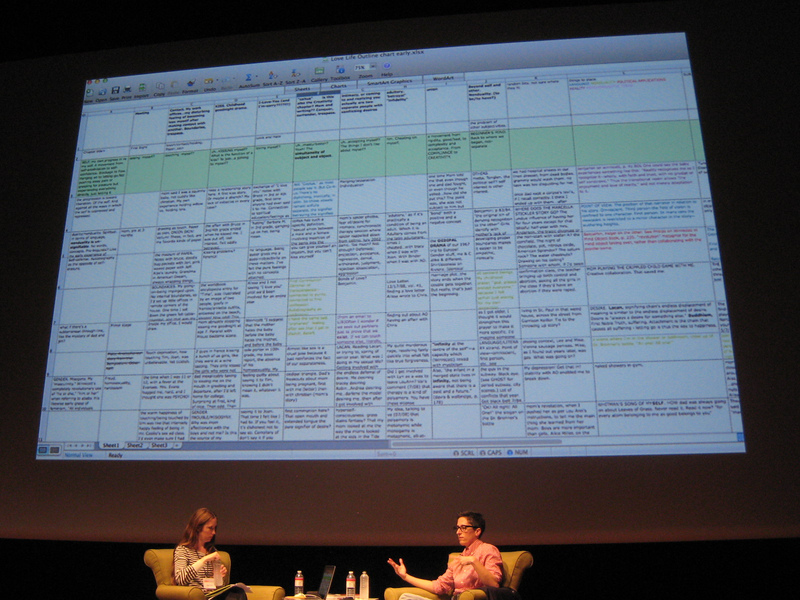 These photos of Bechdel’s presentation might help you to think about how to analyze the structure of Fun Home for your projects.